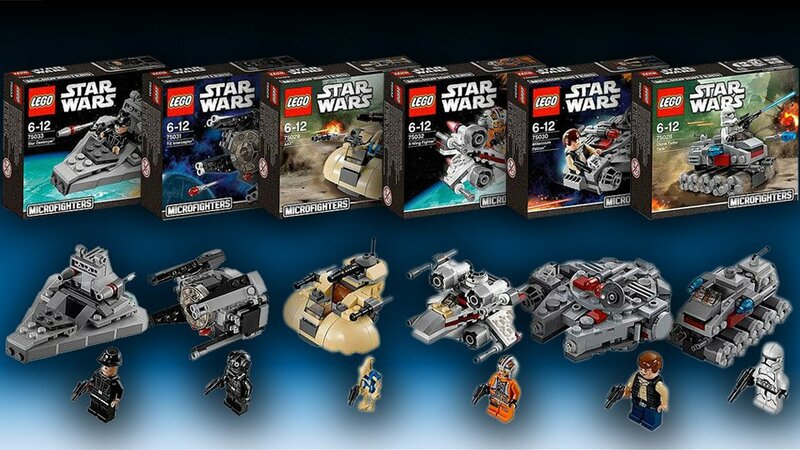 These undersized Star Wars spacecraft are from the LEGO MicroFighters series. These ships are grossly undersized and would easily be overrun by even an Imperial Stormtrooper. But they are adorable and collectible. The sets are not yet available for purchase, but we should see them soon. Choose from the Clone Turbo Tank, AAT, Millennium Falcon, TIE Interceptor, X-Wing Fighter and Star Destroyer.